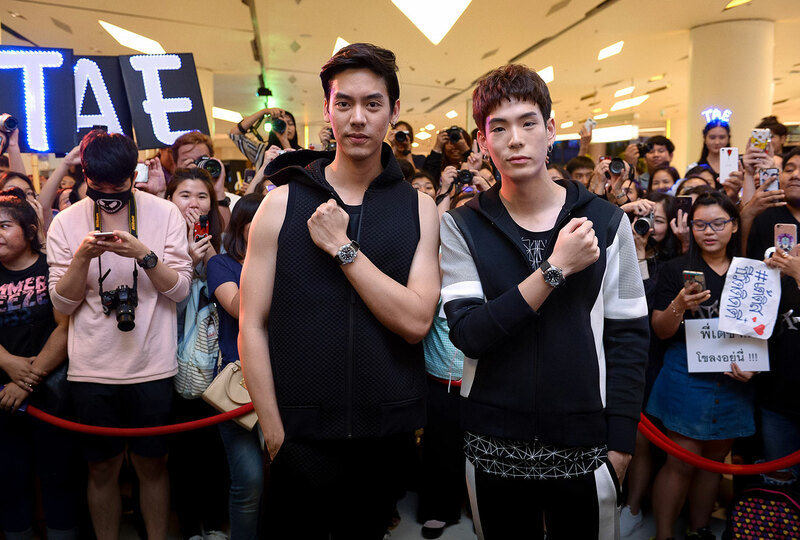 TUDOR, THE PLAYFUL YOUNGER SIBLING OF NOTORIOUS BRAND ROLEX, TOGETHER WITH PENDULUM LIMITED, THE OFFICIAL DISTRIBUTOR OF TUDOR IN THAILAND, CELEBRATED THE OPENING OF THEIR LARGEST POP-UP STORE IN THAILAND ON 17TH AUGUST 2017 AT HALL OF FAME, SIAM PARAGON. MR. ONG BAN, CEO SOUTH ASIA OF SINCERE WATCH LIMITED, AND MRS. IRENE NGU, GENERAL MANAGER OF TUDOR SOUTHEAST ASIA, WERE ON-HAND FOR THE GRAND OPENING OF TUDOR X PENDULUM POP-UP STORE AS WELL AS THE INAUGURAL LAUNCH OF 2017 BASELWORLD COLLECTION IN THAILAND. 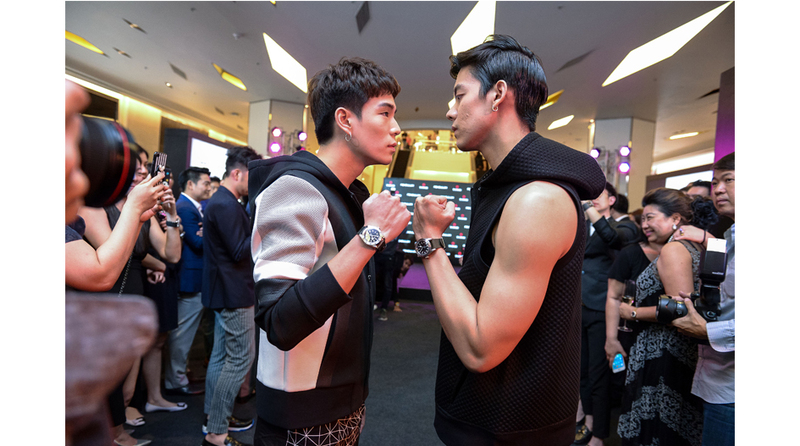 FOUR POPULAR MALE CELEBRITIES – KHUN TAE DARVID KREEPOLRERK, KHUN JJ KRITSANAPOOM PIBULSONGGRAM, KHUN TOP JARON SORAT, AND KHUN PONG NAWAT KULARATANA – ALSO GRACED THE STAGE WITH AN EXCLUSIVE FASHION SHOW TO SHOWCASE SOME OF TUDOR’S LATEST COLLECTION INCLUDING BLACK BAY 41, BLACK BAY CHRONOGRAPH, BLACK BAY STEEL, AND BLACK BAY STEEL & GOLD. MOREOVER, HONORED GUESTS WERE ABLE TO ENJOY MUG PAINTING ACTIVITY BY THE TALENTED ARTIST KHUN NUALTONG PRASARNTHONG WHO DREW THEIR SELF-PORTRAITS ON SPECIALLY CURATED TUDOR MUGS.